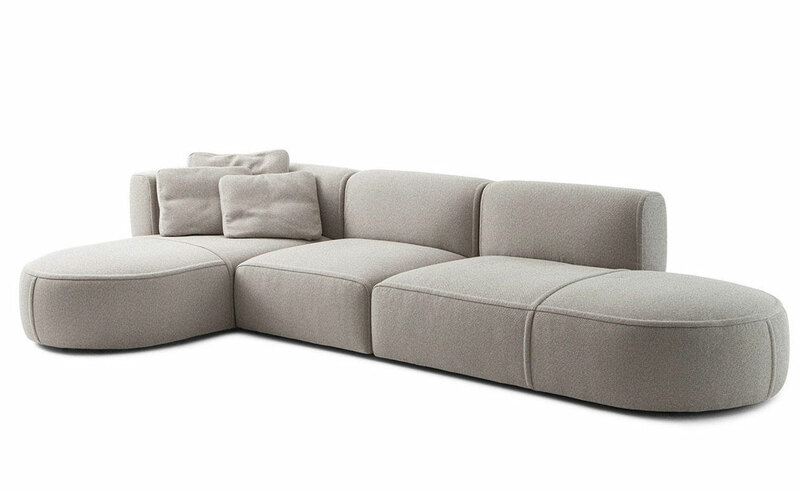 Bowy-Sofa, absolute comfort in numerous combinable modules, featuring high-quality tailoring by Cassina. 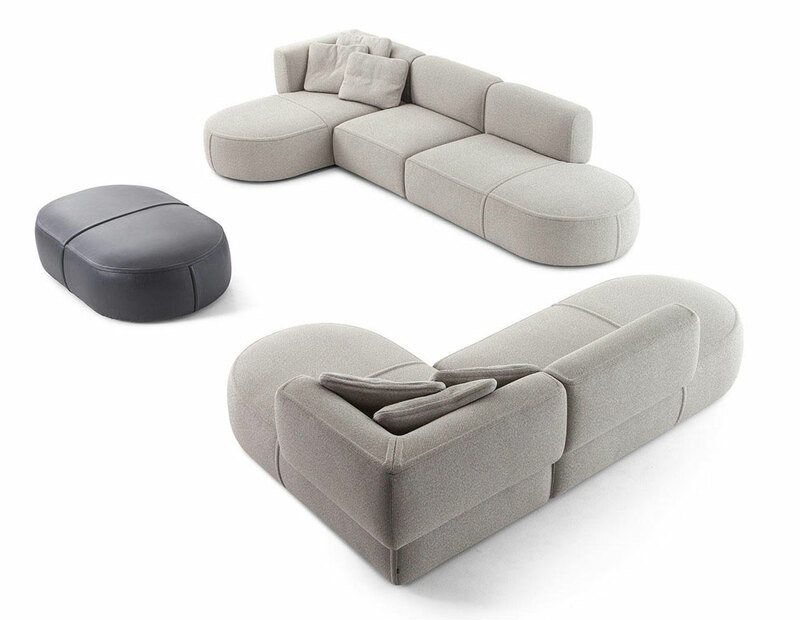 Experiment with the sofa modules for a versatile design. 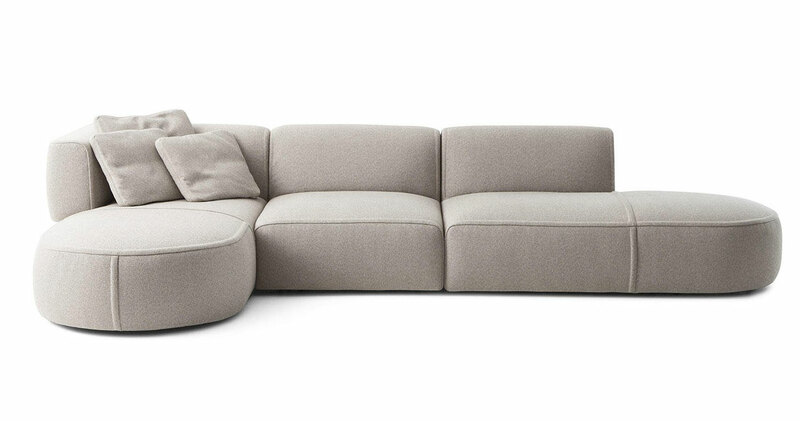 Bowy-Sofa is a modular sofa with soft and welcoming curves that can be composed in a playful way. 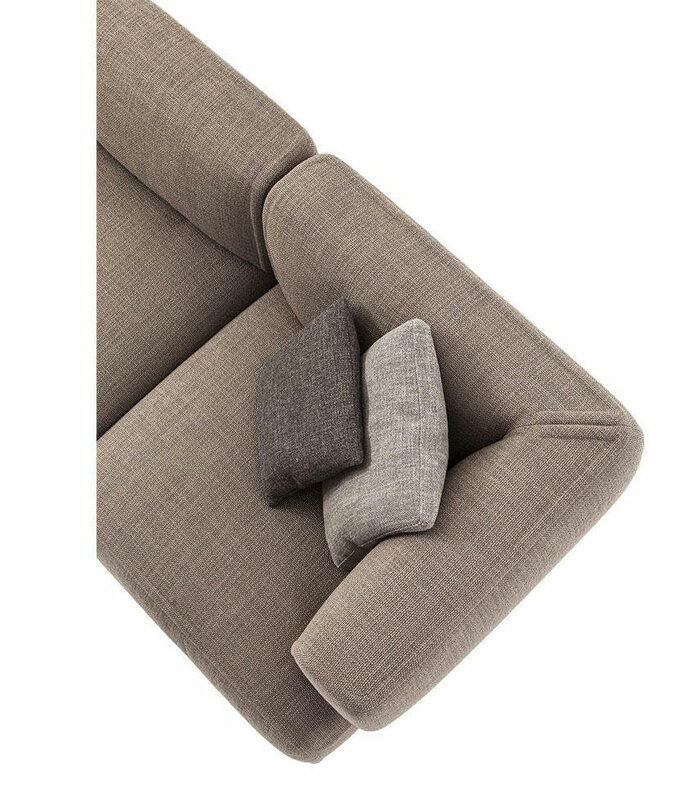 Its characteristic shape features a rounded armrest that directly meets the backrest which then emerges beyond the seat units. Circular, semi-circular and rectangular shapes alternate dynamically to create a play of volumes and a graphic silhouette. 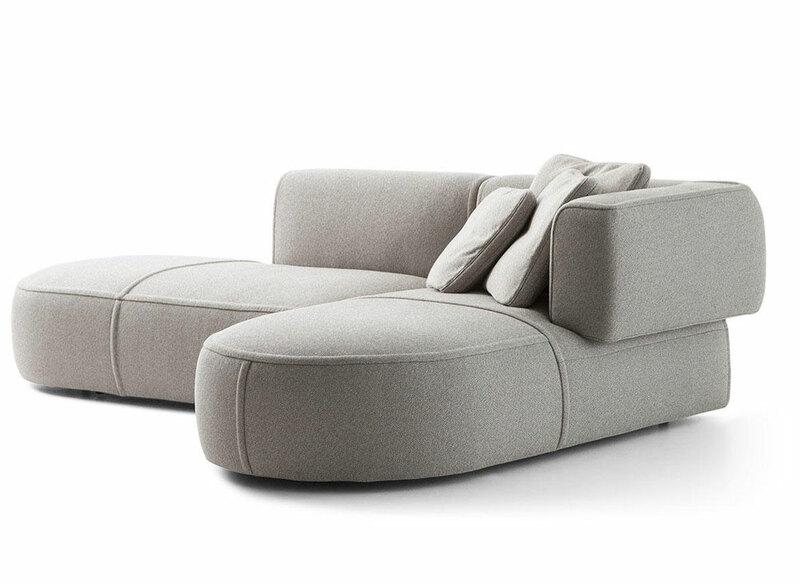 Bowy-Sofa is a ground sofa, almost monolithic, and is made up of individual modules with various types of backrests and seats (central, end, corner and chaise-longue) that have been conceived as sculptural pieces to be used either alone or in a wide range of compositions. Precious details highlight its silhouette. 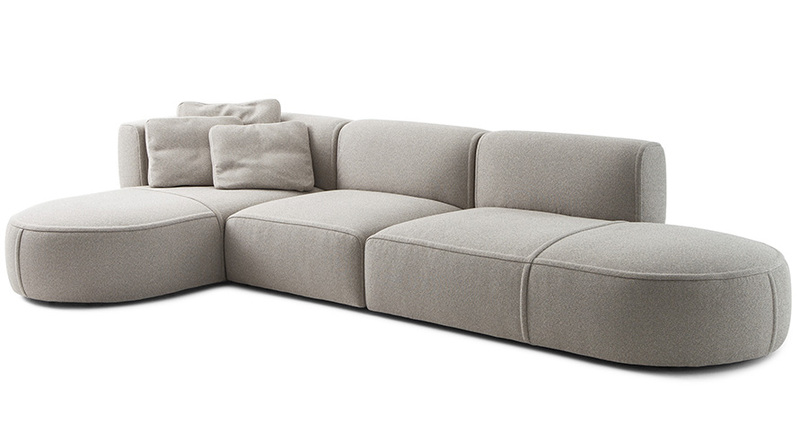 Abounding in detail, this sofa is characterised by padded stitching that outlines the shape of the various elements. 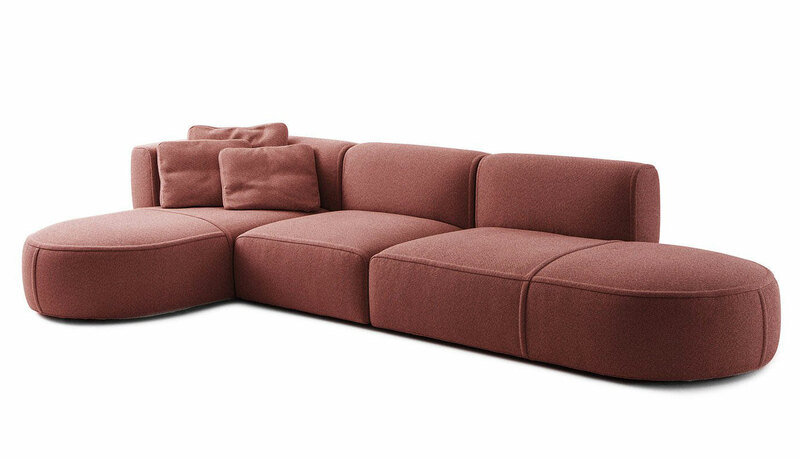 A tailoring challenge masterfully taken on by Cassina, thanks to the company’s consolidated experience in working with fabrics. 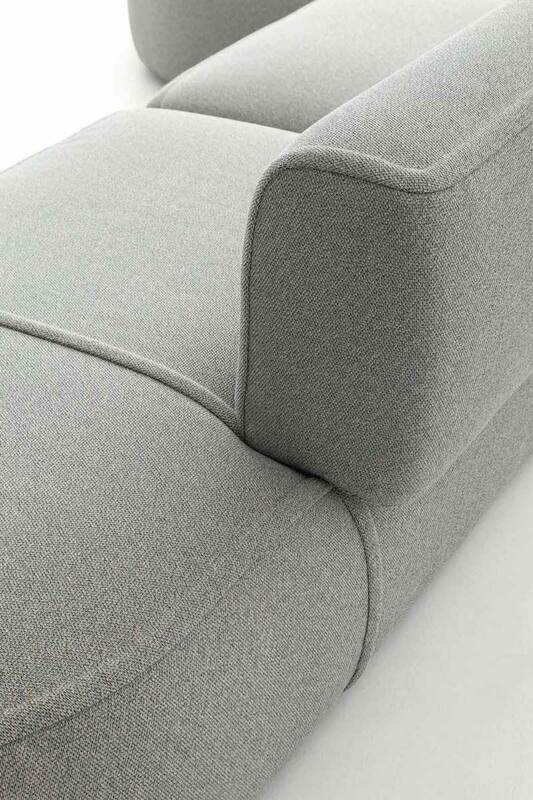 Even the corners of the backrest have been skilfully stitched like a haute-couture suit. The collection is completed with Bowy-Table. 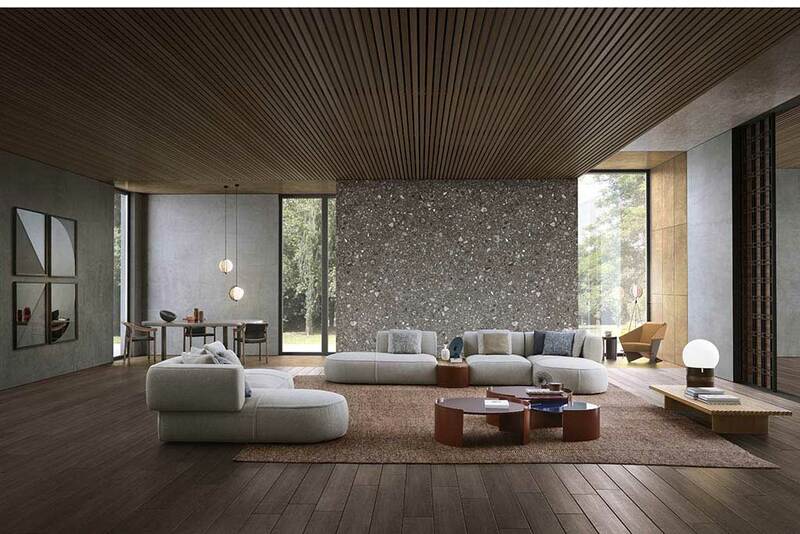 Patricia Urquiola completes the collection with a series of poufs and coffee tables. 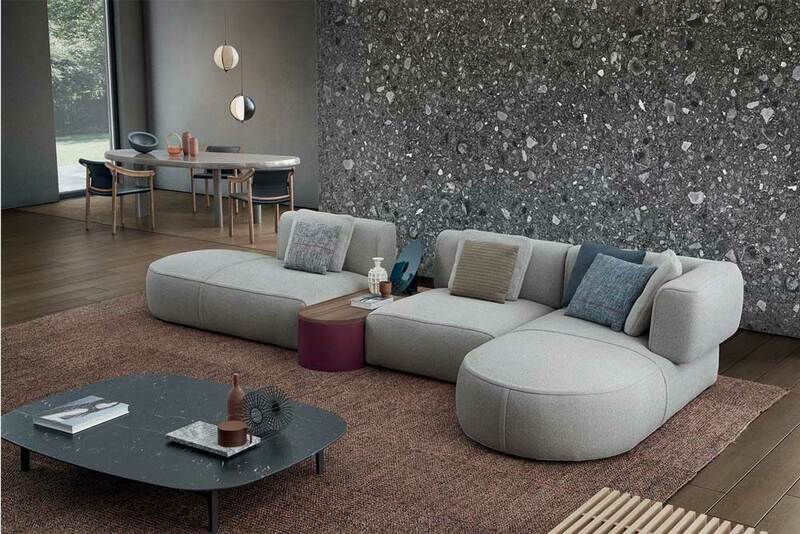 The Bowy-Tables feature the same rounded forms as the sofa and are available with a glossy lacquered finish inspired by the ‘70s or with a more textured wooden top. The tables can be overlapped and intersected to break away from the usual seating schemes. Materials: fir plywood internal structure and tubular metal frame with elastic belting, padding in CFCfree expanded polyurethane foam in differentiated densities, inner lining in different gram weights of polyester wadding, upholstered with leathers and fabrics from the Cassina Collections.